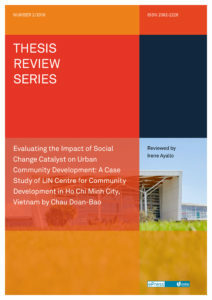 In this thesis, the author evaluates the impact of the Listen – Inspire – Nurture (LIN) Center’s model of participatory urban community development in Ho Chi Minh City (HCMC). 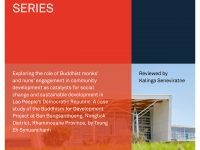 It evidences how LIN has supported urban not-for-profit organisations (NPOs) to alter their self-perception from ‘charity organisations’ to being part of community development processes. Using a participatory communication approach, LIN has encouraged dialogue with and among stakeholders and provided robust information to the community. Consequently, NPOs have become more confident in their own capacities and have more stable financial support. In addition, the corporate sector has a better understanding of the not-for-profit sector and is making a stronger contribution to the development of NPOs in HCMC. These outcomes contribute to effective and sustainable community development in HCMC. 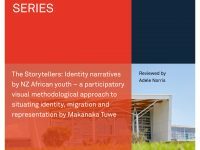 Read this thesis review here.